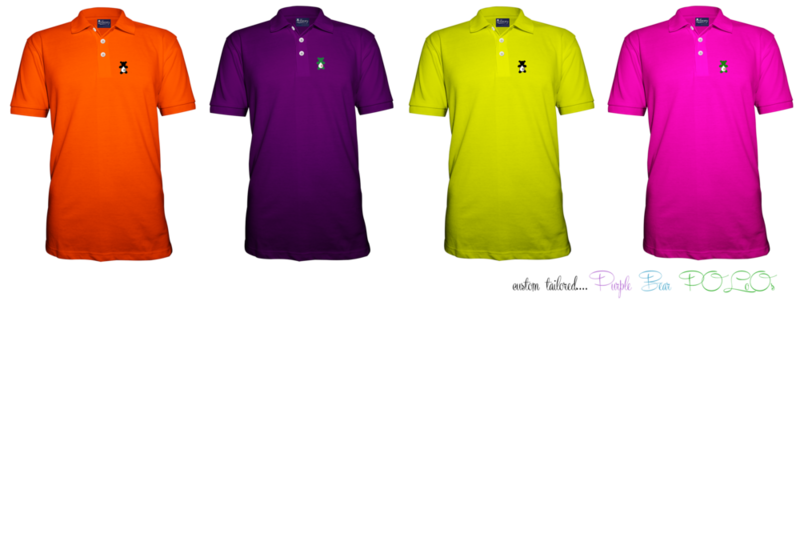 Designer Purple Bear Polo Shirts are for those who live their lives with HONESTY, INTEGRITY, and PASSION. Designed for the Optimistic Fashion Forward Individual in the Pursuit of Greatness. The Luxury Goods Company Purple Bear Polo is designed with care. Our Pique Polo shirts us the finest combed PIMA Cotton on the Market. Our Polo Shirts are High-End Impeccable Quality built to last for years. Soft to the touch for a nice comfortable wear. We also carry Big and Tall Sizes. Our size range includes shirt sized sm m lg xl 2x 3x 4x 5x and 6x. We service all Clients. Big & Tall and Small. Custom Tailored Clothing for the Fashion Forward Individual. These Polo shirts are made for Optimist ONLY! Look Good! Feel Good! Feel Good..Accomplish Great Things! You can customize your Purple Bear POLO shirt to match your Louis Vuitton Gucci, or Loubitton sneakers. Luxury Goods Co. Custom Tailored "PURPLE BEAR POLO"